February always goes by the fastest, especially since university students have reading week. 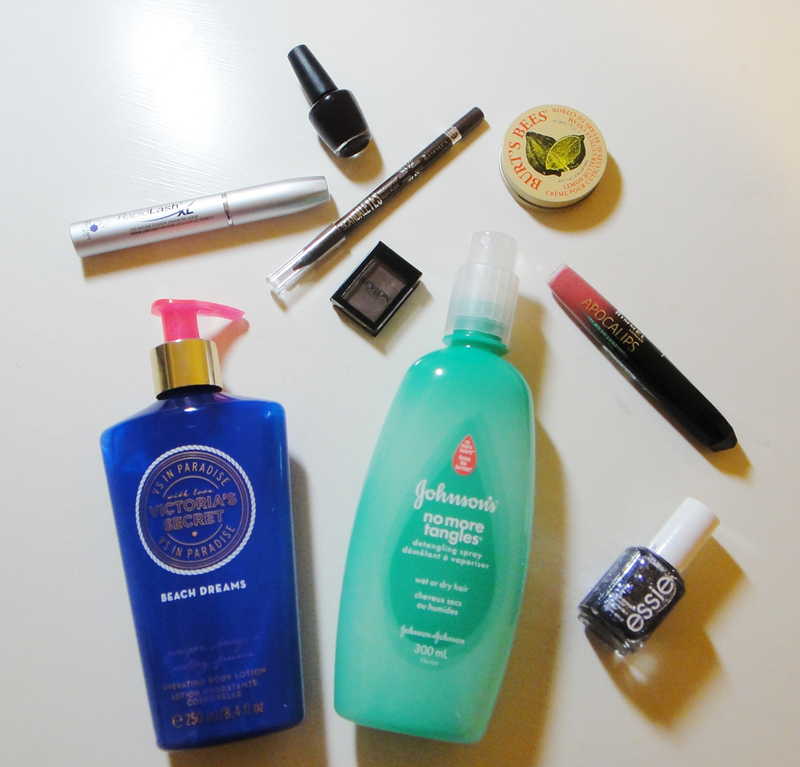 But, I did come across a couple of products that I really started loving this month. Rimmel Kohl Kajal in 003 Brown - I've always been a liquid eyeliner type of girl. But I tried using this one day to do my cat-eye and it worked so well! This has been my go to eyeliner every day since. Burt's Bees Lemon Butter Cuticle Cream - I purchased this years ago and only brought it out again this past week because my cuticles were soo dry. I totally forgot how well this works in moisturizing my fingertips! Rimmel Apocalips in Nova - I really like how smooth this lip lacquer applies and I like that it covers up dry parts of my lips so nicely without me needing to exfoliate my lips first. I don't usually go for bright-ish colours but I really do like this one! Essie Stroke of Brilliance - My newest nail polish purchase and it's so pretty! Looks so nice layered over other colours as well. Victoria Secret Juniper Berry & Watery Freesia Body Lotion - I absolutely love this scent. I just keep it in my bathroom and apply it every night after I shower. It's not the best best moisturizer but it does it's job. Johnson's No More Tangles - I had stopped using this for a while but when I repurchased this a couple weeks ago, I now remember how good this stuff is! I use it all the time to sort out the stubborn knots that always form in my hair.